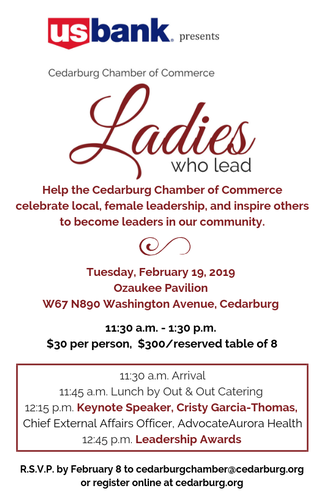 Help the Cedarburg Chamber of Commerce celebrate local, female leadership, and inspire others to become leaders in our community. Ladies Who Lead is proudly presented by U.S. Bank. $30 per person or $300 for a reserved table of 8. R.S.V.P. 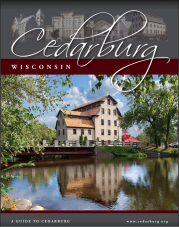 to maggie@cedarburg.org or (262) 377-5856 or register online at cedarburg.org by February 8.